Ideal for wetsuits, drysuits, boots, gloves, hood etc. 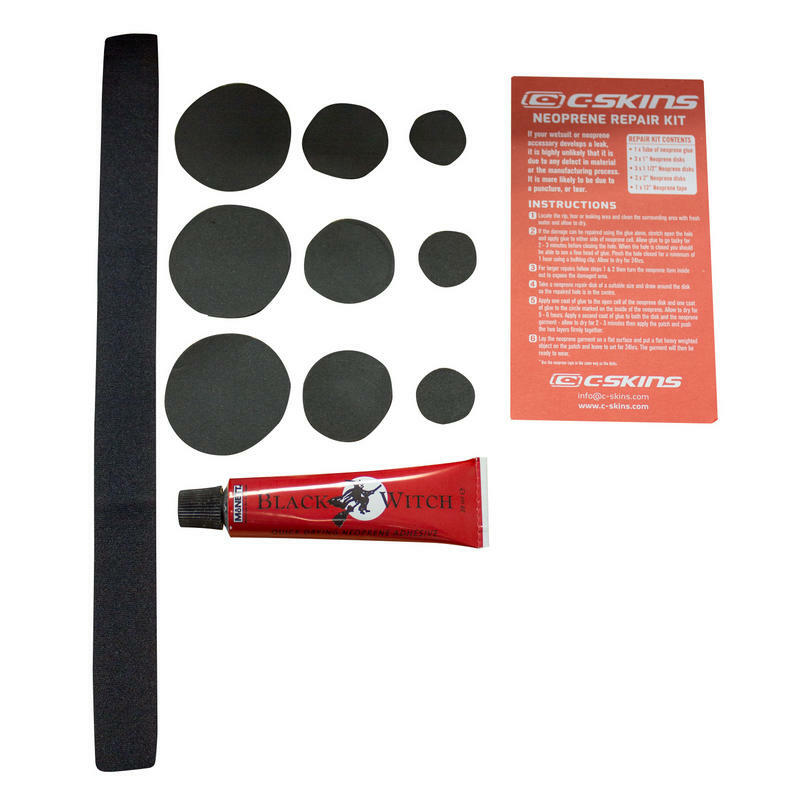 Perfect for repairing tears and rips in all makes of neoprene wetsuits, drysuits, boots, gloves, hoods and any other neoprene products. 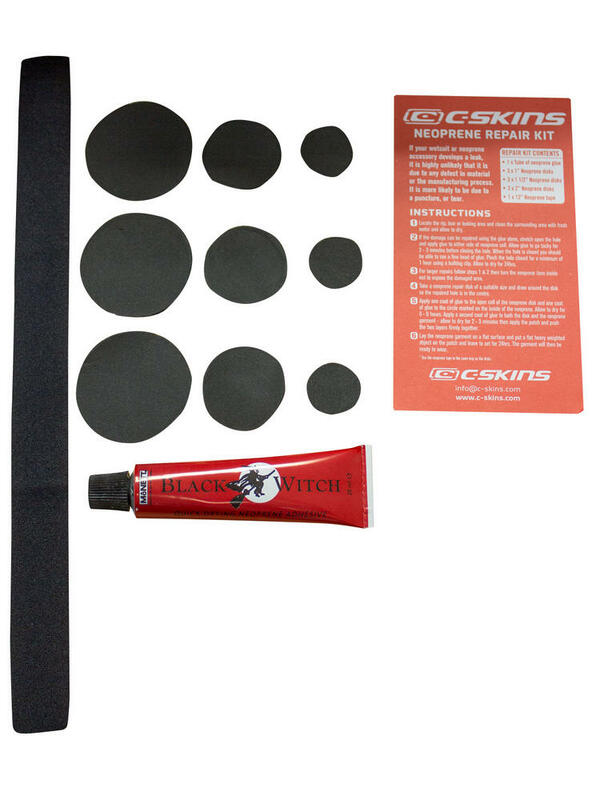 Black Witch neoprene glue (included) is the best known wetsuit glue on the market - 28g tube - new toluene free formula.